s is the head of a research lab in the Cardiovascular Research Center at the University of Connecticut Health Center. His studies include effects of resveratrol on cardiac health. Resveratrol, as most wine geeks know, is a plant polyphenol often found in red wines and has been speculated to contribute to the observed health effects seen in red wine drinkers, commonly known as “The French Paradox” . It has been hailed for its antioxidant, anti-inflammatory, anti-cancer, and anti-aging properties as well as a host of other benefits, though the scientific evidence to back up these claims ranges from bountiful to murky to nonexistent. Studies on this interesting compound are occurring all over the world. A Google Scholar search for papers containing “resveratrol” in the title returned over 6,000 citations in scientific journals. In 2009, drug company Sitrtis, which was researching the development of resveratrol-like molecules for use in the pharmaceutical industry, was bought by pharma giant GlaxoSmithKline for $720 million. There’s not only real interest in the potential of this molecule, but real money involved. Dr. Das’ laboratory studied the effects of resveratrol on cell signaling pathways. These complex cellular networks are linked to almost all of the functions of the cell, from differentiation to proliferation to the pathways that lead to cancer and other diseases. One of the most important techniques used to study these pathways is the Western blot, which monitors the amount and properties of a given protein present in the cellular network at a given time. 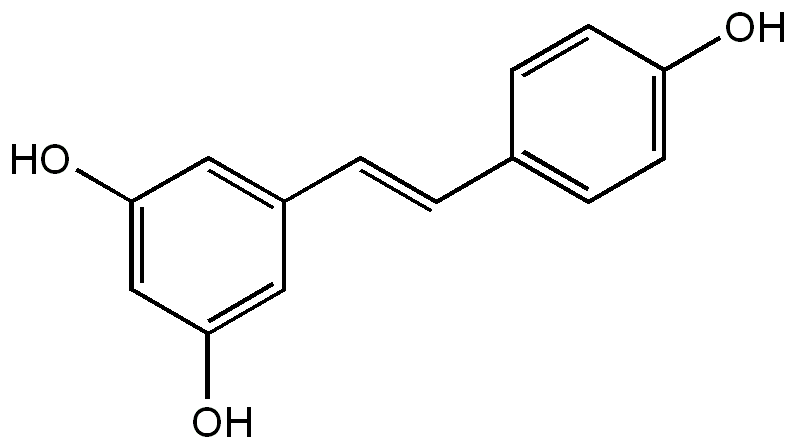 The mechanism of action of resveratrol’s cardioprotective effects is still being actively researched (and in many laboratories in addition to that of Dr. Das), but it’s thought that resveratrol affects the expression of several genes that act as hubs in cellular networks, controlling expression of many other genes and, as such, the overall behavior of the cell. Western blotting is currently the standard method of detecting these changes. What Dr. Das did, according to the report, ranged from digitally manipulating images by erasing backgrounds (“prettying up” the blots), to cutting and pasting images from different blots together, deliberately misrepresenting data. It’s not clear how this will affect the professed results of the 26 papers, published in 11 different scientific journals, which were singled out to contain data misrepresentation. Over the course of my Ph.D., I performed hundreds of Western blots (you can see some of mine here, if you dare.) They never look exactly the way you predict they will look. In fact, due to smudging, loading control differences, and other mishaps inherent to the multi-step process of performing a Western, they very seldom come out looking “publication quality”, even when the result qualitatively supports (or refutes) the hypothesis. It’s perfectly possible that these image alterations were made to simply make blots that qualitatively gave the intended result (but didn’t look the prettiest) suitable for publication. Repeating the process to obtain a nice-looking image can take up to several weeks per blot, not to mention the cost of expensive antibodies and other reagents. That’s certainly no excuse for Das’ behavior, but it is definitely a possible motive. This may seem a little inside baseball, but the point is that Westerns in general can only be used for quantitative analysis when performed very carefully and repeated many times. Right now, the blots used as supporting evidence for the 26 publications identified by the report are in question. Whether the data that Das misrepresented in these blots is reproducible has yet to be seen. Das’ research funding has been frozen by the University, $890,000 in federal grants is to be returned, and proceedings are underway for Dr. Das’ dismissal. What Dr. Das has done here, if the allegations in the University’s 60,000-page report are true, is anathema in science. Falsifying data undermines the basic principles of the scientific method and hurts not only research in a particular area but the scientific community as a whole, even when fraud may be contained to a certain lab or individual. However, the beauty of the scientific process is that experiments are repeatable. If a result is of significant impact, researchers will seek to repeat experiments and in doing so see for themselves the outcome. In this way, science is self-correcting and always evolving. Experiments on resveratrol will likely continue more or less unfettered as scientists strive to understand the myriad cellular changes that this molecule promotes and elucidate their overall effects on human health. 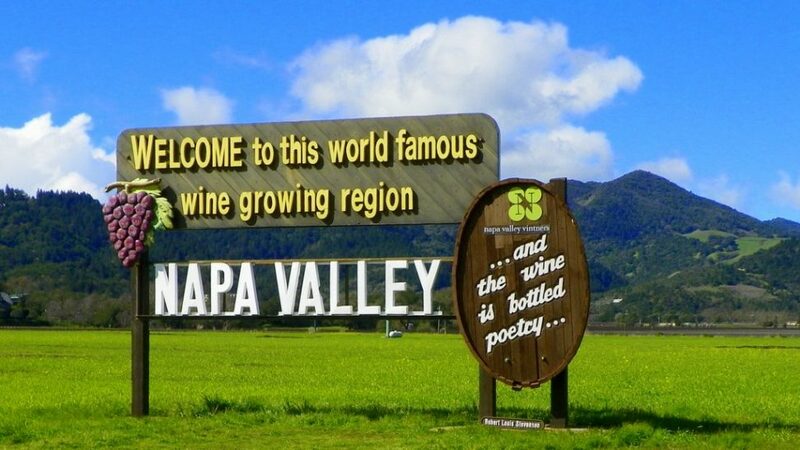 What does this all mean for wine drinkers? Personally, I have never been an advocate of drinking wine for health reasons (there are so many other great reasons to drink wine!). While treatment with resveratrol has shown promising results in laboratory and animal models, the evidence for the miraculous effects of resveratrol on humans is still preliminary at best. And if health benefits are your only reason for drinking wine, then you’re probably not a Palate Press reader to begin with. The fact that this research misconduct tangentially involves wine drinking is the reason that the story was picked up by hundreds of news outlets in the first place. In a way, it’s good that this has been brought to light, but this result shouldn’t negatively affect red wine sales. Palate Press science columnist Erika Szymanski will be talking more about resveratrol and how Dr. Das’ apparent fall from grace factors into the whole body of resveratrol research in her column this coming Monday. You can read a summary of the University of Connecticut’s investigation here. Tom Mansell is one of the few who bring up the often difficult issue of how to present western blot tests in publications. Years ago, before Photoshop and desktop computers, journals published western blot images there were barely visible. Dr. Das claims his papers would be returned by editors if the western blots were not reproduction quality. There are online courses offered on how to enhance western blots. The test seems to be the perfect can of worms to be used politically against a researcher. Dr. Das’s work was validates by NIH researchers using a more refined test, microRNA. 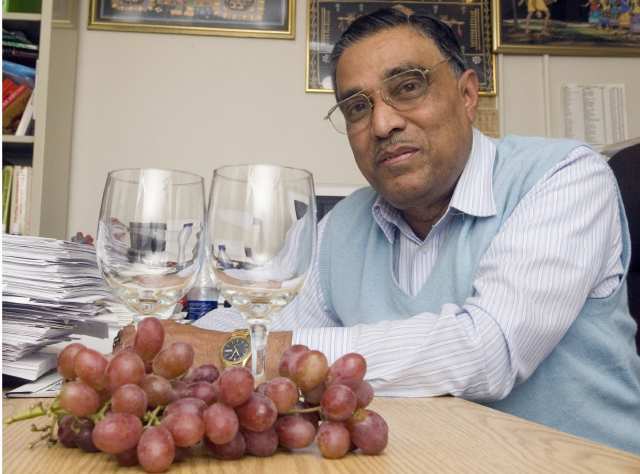 Other positive resveratrol studies with Dr. Das’ name on them were conducted in labs in Hungary and Japan where Dr. Das did not produce any of the data and the papers were primarily written by other authors. There are discrepancies in what the Univ of Connecticut report alleges (only Dr. Das had keys to his office, Dr. Das dismissed a student who didn’t produce the western blot data he wanted) and what I learned from interviewing Dr. Das’ former students directly. The alleged fraud would not have altered the conclusions of his studies and could not have been used, as the university alleges, to gain research grants. The informant in the case had keys to Dr. Das’ office, mailed anonymous letters to students and industry people that Dr. Das was under investigation. This is what I learned by my own investigation. There had been a long-standing feud of some kind there are the university between Das and other researchers. Resveratrol is one of the most miraculous molecules on the planet and the real crime is that not even one human clinical trial has ensued since this molecule was identified as being a key element of the French Paradox in 2003. Since he has chosen not to disclose his identity, I think that it’s important to point out that Mr. Bill Sardi is the managing partner of a company called Longevinex, a resveratrol supplement company with which Dipak Das had a relationship. Readers might do well to keep this in mind while reading Mr. Sardi’s comment. I wholeheartedly agree with Tom’s comments regarding Western blots, having done several hundred of them myself. Still, it wrongly disadvantages scientists who play by our well-known rules of conduct every time a less upstanding member of our society chooses to ignore those rules. We may not know whether or how Das’s image alterations altered the conclusions of his experiments. And yet it is never under any circumstances normal or acceptable by any scientist’s standards to create a fake Western blot patchwork quilt-style out of multiple separate bands, something for which there is excellent evidence (according to the official Scientific Review Board report) that Das did. Whether or not his work was confirmed by the work of scientists following the rules, it seems quite clear that Das is guilty of doing something (or, rather, multiple somethings) wrong. There is a right way to submit Western blots to journals: Do them right and don’t digitally alter them! If a blot looks like crap, tough! Do it again! You can’t just go around copying and pasting bands from other blots, which is exactly what happened here. Also, if you want a human clinical trial so badly, why doesn’t your company fund one? Answer: Because you can go on making claims about its miraculous properties while writing (This statement has not been evaluated by the FDA) in the fine print.